This cozy but healthy vegetarian pasta dinner is loaded with fiber, vitamins, antioxidants, and healthy fats. 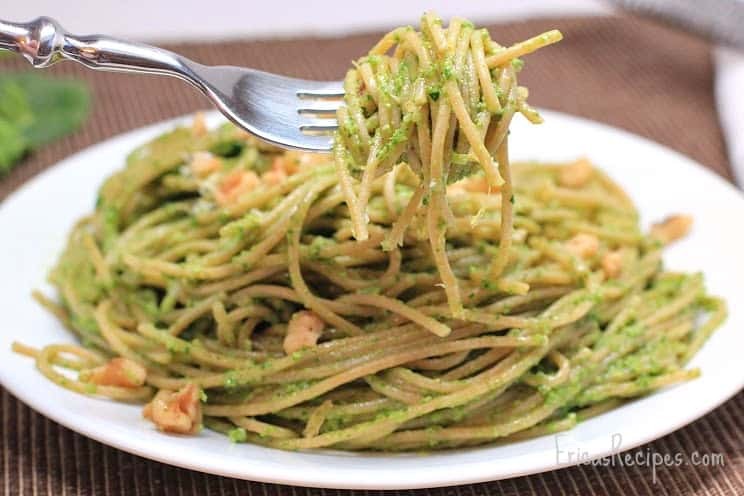 Light and lemony, Whole Wheat Spaghetti with Arugula, Spinach, and Walnut Pesto is family-friendly and weeknight easy too! A month from today will hopefully be my first ever half marathon, so my nutrition for the next few weeks will focus on healthy carbs and fats. And this gorgeous pasta will be dinner this week. Healthy grain from the whole wheat spaghetti, healthy fats from the olive oil and walnuts, important vitamins and antioxidants – and it tastes delicious! Meanwhile, pulse the greens, cheese, nuts, garlic, zest, salt, and pepper in a food processor. With the motor running, pour the olive oil through the chute. Set aside or store in the fridge if not using right away. Before adding the pasta to the boiling water, add a handful of kosher salt. Add the pasta and cook to al dente according to package directions. 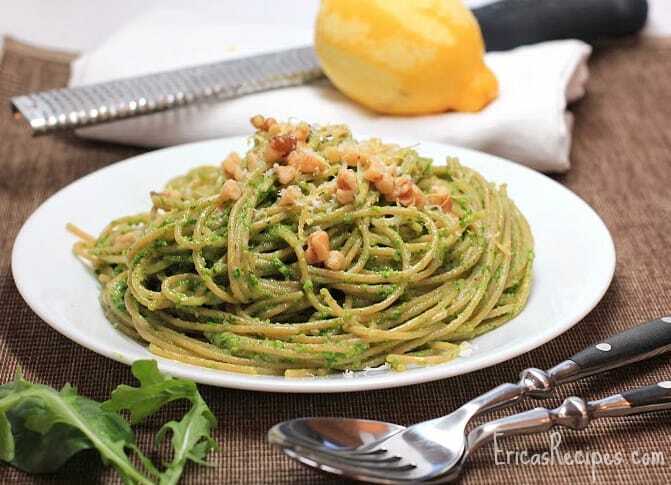 Drain and toss with the pesto. 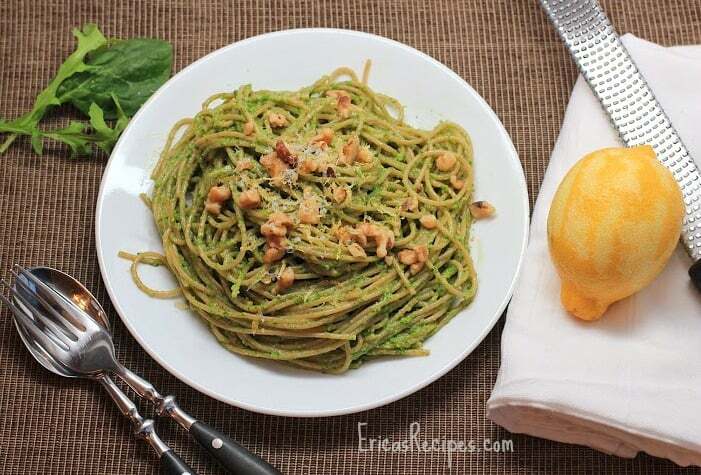 Serve garnished with chopped walnuts, lemon zest, and parmesan. Serves 4-6. 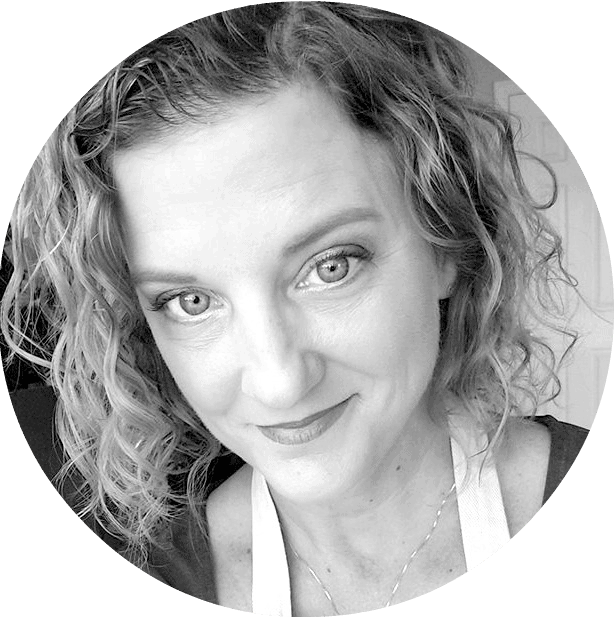 This recipe is delicious Erica. Good luck on your run in the Marathon, that’s quite a challenge. Thanks for sharing this recipe with Foodie Friends Friday this week. This is a great idea!! 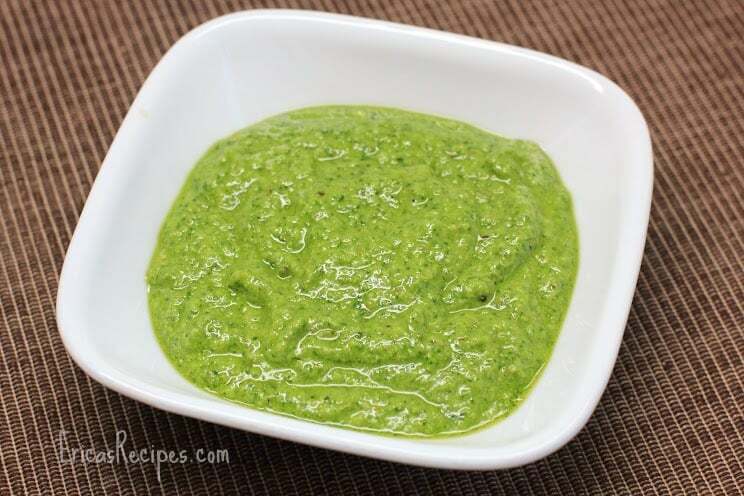 Arugula, Spinach and Walnut make for a great pesto. You have an amazing style.